Late last year, we shared a blog article defining six very common digital marketing terms (click here to check it out now). And while these terms are incredibly common in our day-to-day routine, they are terms that most marketers with even the smallest amount of experience are familiar with. 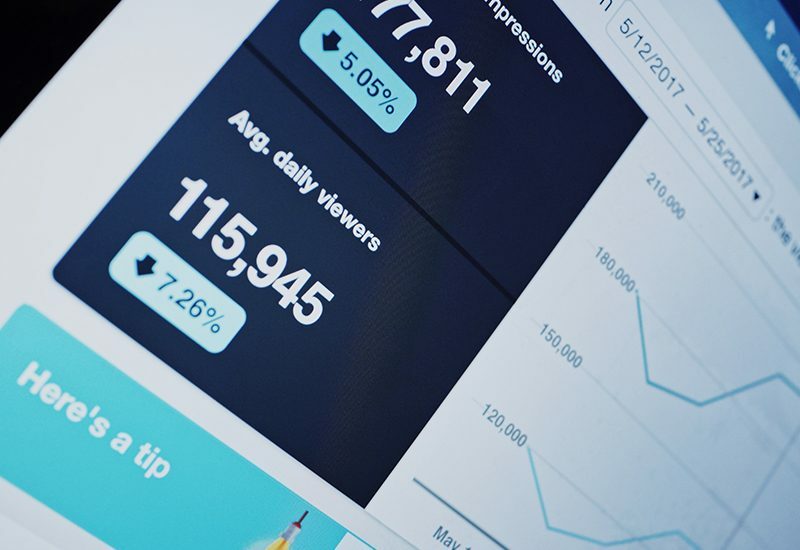 For part two, we’ve decided to focus on a specific area of digital marketing that might be a bit more confusing to marketers and business owners— the analytics side. From “conversion” to “cost-per-acquisition”, we’ve selected eight key digital marketing terms that should make your life a lot easier when it comes to understanding the various results and analytics provided by most digital marketing channels. We hope that these terms help you sift through all the data at your fingertips and narrow down what is most important to you and your brand’s bottom line. Check out this month’s terms below. Any digital marketing effort that has a button, link or other forms of CTA that sends a viewer to a new destination can be measured by its Clickthrough Rate. Simply put, this is the number or percentage of the total number of viewers who took action and clicked through to your destination. The higher the clickthrough rate, the more effective your ad is. On some platforms, like social media, for instance, you may not receive a clickthrough rate, but instead an “engagement total”. This stat works similarly as it tracks how many people engaged with your ad or post and it’s often broken down by type of engagement (link click, photo click, read more, etc.). If we know the total number of people your ad or post reached and we know the total number “link click” engagements you received, we’re able to do some simple math and determine what your estimated clickthrough rate was for that specific post or ad. Cost-per-acquisition is the total cost to generate a sale, lead or another conversion. If you’ve run an ad of any sort on Google’s Adwords platform you’ve probably noticed “Cost-Per-Acquisition” or CPA as a pricing option. This pricing model helps platforms better understand your goals and optimize your campaigns for your brand’s needs. If we think about a car dealership who is selling cars in the 5-digit range, this allows them to raise their CPA to help their ads show more often. They may increase it to $10, whereas an ice cream shop who’s selling $2 ice cream cones would rather spend 10 cents on acquiring their customer. CPA is a great way to analyze how effective your ads are, but also ensure you’re not paying too much or too little. Again, on social media, you may see a “Cost per engagement” rather than CPA. But the same idea applies here as well. If you’re running a page promotion, you’ll more than likely want your cost per engagement (in this case, a page like) to be quite low as there’s no guarantee that the page like will turn into a sale or conversion down the road. If you’re running an ad focused on basement renovations, for instance, you might be ok spending a bit more as one customer can end up being quite valuable. When it comes to CPA, the key is understanding your business, your products and the way your customers purchase. This allows you to narrow down the exact cost-per-acquisition that makes financial sense for your ads. Cost-per-click is another pricing model offered by platforms like Google’s Adwords. As you may have already guessed, you pay per click on your ad rather than per acquisition or impression. This is a valuable option for advertisers who might be looking to drive as much traffic as they can to a landing page or specific page on their website. This is where things probably start to get a bit more confusing. Unlike CPC or CPA, cost-per-thousand is a lot less obvious. Cost-per-thousand is once a pricing model used by various ad platforms, but instead of charging an advertiser per click or acquisition, the advertiser is only charged per thousand impressions (more on impressions shortly). This pricing method isn’t as useful to advertisers as some of the other options, unless your goal is to gain as much brand awareness as possible. This is because you pay per “view” (rather than per action) so there’s no guarantee that the viewer will click on your ad or buy something. Conversion is another term for the actions that occur on your website. This action can be making a purchase (most common), but it can also be signing up for a membership, subscribing to a newsletter, downloading an e-book and much more. When a consumer does any one of these things, they are all considered a conversion. When setting up a campaign with a CPA pricing model, the advertiser specifies what type of conversion they are seeking. This way, if your primary goal is to drive newsletter subscriptions, you don’t pay for ad placements where the viewer purchased something or completed any other type of conversion. Contrary to what you may have heard or thought, impressions are not the number of people who viewed your ad. In most cases, that would be classified as your ad’s reach. Instead, impressions are the number of, well, impressions your ad creates. In simpler terms, this is the number of times your ad appeared in front of someone, whether they’d seen it before or not. You see, if one consumer sees your ad five times, then your impressions count would be five. This is often why you’ll find your impressions total is much, much higher than your reach. Shifting our focus from pricing models, let’s now decipher between the two types of traffic your website can receive. The first of these is Organic Traffic. This is the traffic that finds your brand or business on their own. Whether by Google search, social media search or some other method of their own. On the other end of the web traffic spectrum is Paid Traffic. This is the traffic that you receive thanks to any of your paid efforts. Even if the visitor makes an organic search and then clicks through to your website using a paid search placement, that would be considered paid traffic. As you can see there are an endless number of pricing models and insights for digital marketers. All of which seem to work hand-in-hand with one another. It’s one of the reasons why digital marketing has proven to be so valuable to brands and businesses, but also a little overwhelming. If you’re struggling to harness the power of digital marketing and are finding yourself very much overwhelmed, we encourage you to reach out to us by phone, email or on social media. We’re always up for chatting with passionate fellow business owners about digital marketing.